MultiBrief: Is Instagram limiting the reach of your brand’s photos? Is Instagram limiting the reach of your brand’s photos? You’ve likely seen the latest rumor floating around Instagram. Users have been sharing photos that say something like this: "This is a test. Instagram has been limiting our posts, so only 7 percent of our followers see our posts. If you see this post, comment yes. This will improve our ranking." After all the funky changes to Facebook’s algorithm, do you need to worry about your Instagram content falling into a dark hole, too? Nope! You can exhale and let go of that anxiety. Instagram announced a few days ago that the company never hides posts and has not many any recent changes to the algorithm. But do you know how Instagram organizes its feed? The company only announced its formula a few months ago. 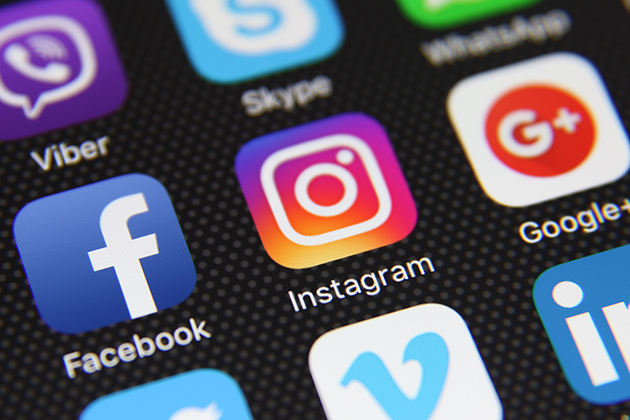 Read on to learn the major components of how Instagram’s algorithm works — and how you can use that to your brand’s advantage. Get this. Everyone’s Instagram feed is 100 percent unique. The order of content in your feed is driven by how you interact with each account you follow. 1. Interest: Instagram wants to show users content that they’ll like. So, based on past user behavior, content likely to resonate with each user is shown highest in their feed. Instagram didn’t detail exactly what that means, but if we had to guess, it involves artificial intelligence. Marketing Lesson: Again, this is another great reminder to post more of the content that performs well. If a content tactic isn’t resonating, ditch it. Do what the data says works! 2. Timeliness: New posts are shown higher in the Instagram feed. Instagram wants to keep their users engaged, which means displaying the freshest content at the top to keep them scrolling for more! Marketing Lesson: Experiment with posting a bit more to see if that lands you a higher spot on your users’ feeds. 3. Togetherness: Like Facebook, Instagram wants to show you content from the people (or brands!) that you care about. The more you interact with an account by liking, commenting or even tagging them in photos, the more you’ll see content from it. Marketing Lesson: Form relations with your followers! You want them to look forward to your content, and often that means making a personal connection with each person who follows you. You should do your best to respond to each person who comments and try to have a meaningful conversation that goes beyond "Thanks!" 4. How often you log in: If you only open Instagram once in a blue moon, the app is going to try to show you the posts it thinks you’ll like the most. In this case, it sounds like timeliness isn’t as important. 5. The number of accounts you follow: By nature, if you’re following many people, only some (the ones that Instagram thinks you’ll like the most) will appear at the top of your feed. 6. Time spent: If you log on to Instagram for short stints, the app will try to wow you with the best of the best. But if you spend a long time logged into the app, Instagram does its best to make sure you don’t run out of new content to scroll through. Are Lexile reading-level scores flawed?